Eating healthy doesn’t have to be boring and bland. We made a commitment to change the way we eat as a family. My husband and I are both getting older and realizing that we need to be much more careful about what we are putting in our bodies as well. We’ve been eliminating a lot of foods that are common allergens or contribute to digestive issues. 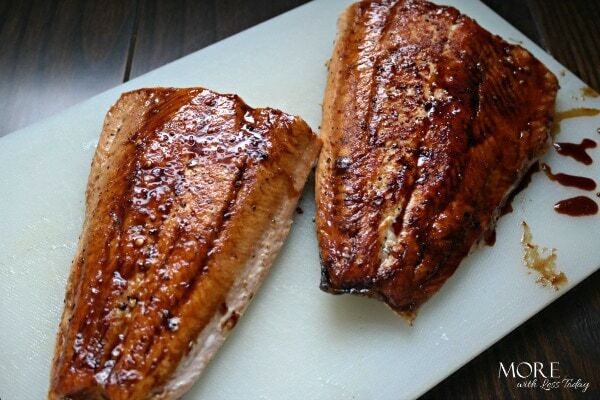 This Honey Balsamic Pan Seared Salmon is delicious and is gluten free, dairy free, nut free, and corn free. You’ll love how easy it is to make and your body will love how healthy it is! Preheat a large skillet over medium/high heat. Add a small amount of olive oil to coat the pan. 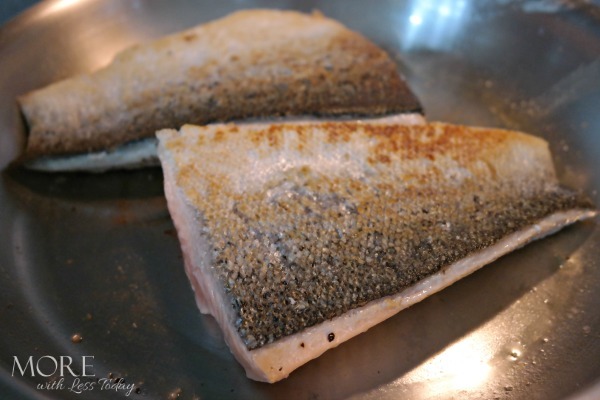 Sprinkle the salmon fillets with salt and pepper to taste and place in the preheated skillet. Cook 2-3 minutes on each side. Mix together the balsamic, honey, and red pepper flakes. 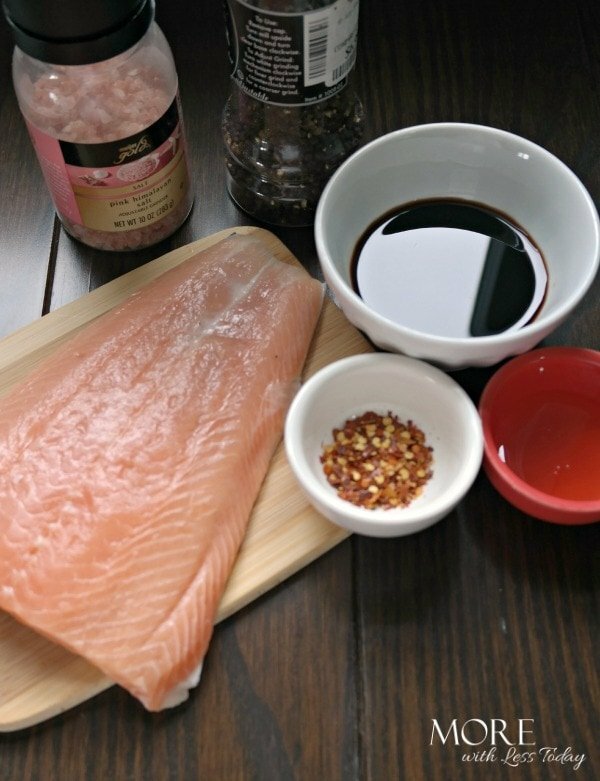 Pour over the seared salmon and bring to a low boil. Reduce the heat and continue cooking until the balsamic mixture has thickened and taken on a syrup like consistency. 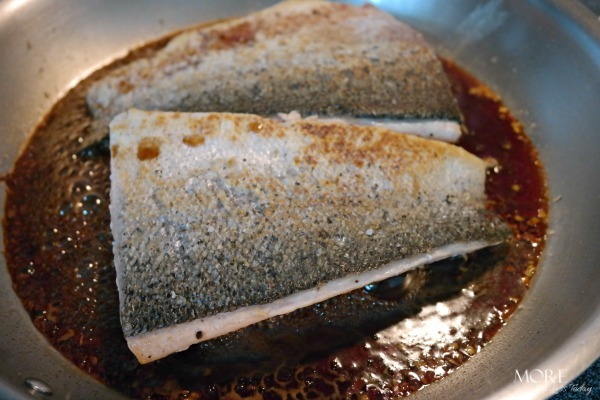 Remove the fillets from the pan. Plate the salmon with your favorite sides. 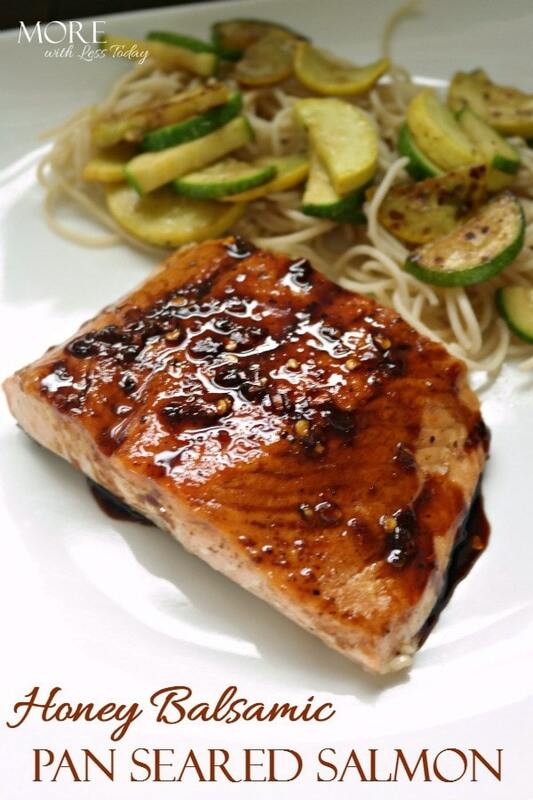 Drizzle the remaining balsamic reduction over the plated salmon and serve! I chose a side of brown rice angel hair pasta and lightly sauteed zucchini and summer squash. This is a filling and satisfying meal and no one will miss the gluten or butter. What I loved most about this meal is the glaze and that the fish did not taste “fishy” like salmon often does. You can adapt this recipe for chicken or other meats as well. We’re looking forward to trying this on grilled chicken wings in the next few weeks!